With 256 distinctively gorgeous illumination display colors, the new Lumi Color 256C is ideal device for lighting up and bringing colors to a chassis. Powerful high-grade black neodymium magnets allow users to easily attach and remove the LED strips from any metal surface. 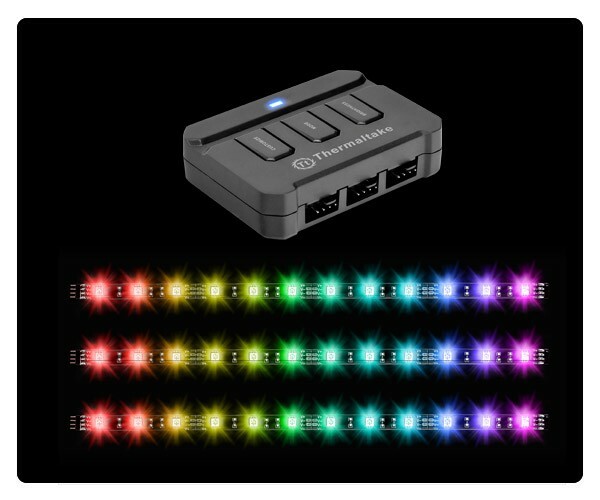 Equipped with a seven single-color flashing mode and three levels of brightness adjustment, the Lumi Color 256C control pack includes all the necessary cables to connect up to 3 channels of LED strips.